“Take a seat” Some of the most reassuring and unnerving words ever spoken, depending both on their context and environment. In this case it is most certainly the former, as the heritage and design language of a Wenger chair belies comfort, and if not at the very least respect. 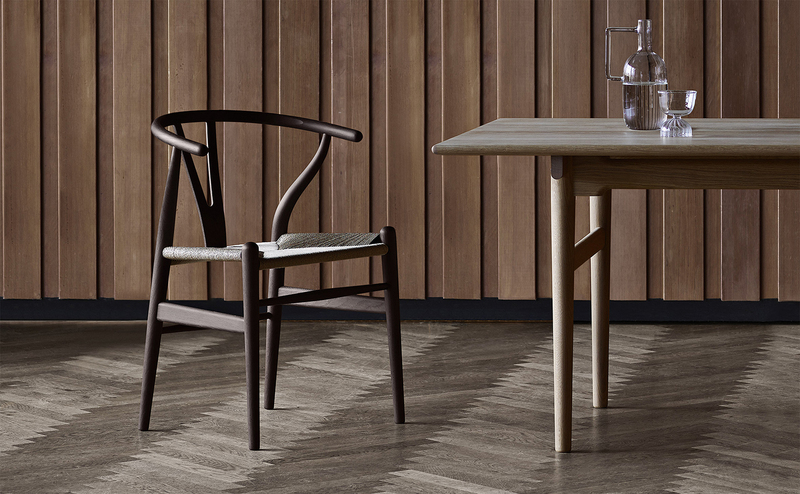 The ever-current Hans J. Wegner would have turned 104 on April 2, 2018 and as a tribute to the great master of chair design, Carl Hansen & Son is re-presenting his coveted Wishbone Chair in a unique edition: Ancient Oak, which is oak that has been specially treated to recreate the strength, warmth and dark-brown color of its thousand-year-old bog oak counterpart. 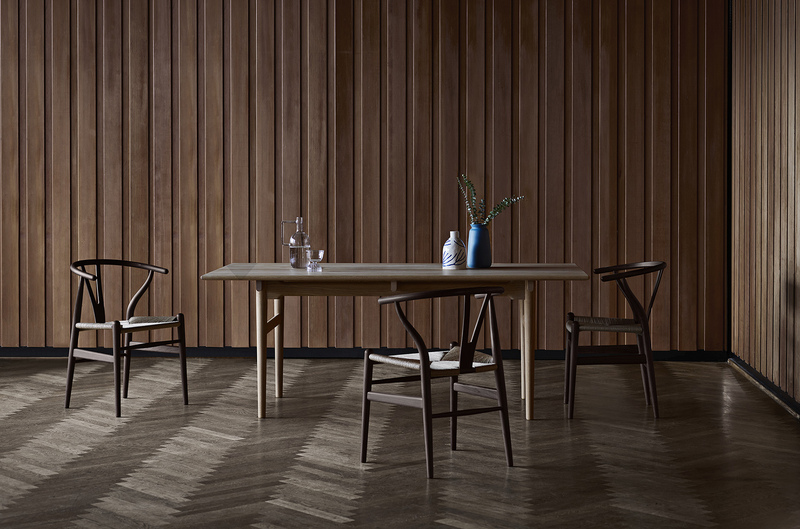 The chair, which features a natural woven paper cord seat, will only be available 2nd-3rd April 2018, with a brass plate engraved with Wegner’s signature and a certificate of authenticity. This special edition has been named Ancient Oak in reference to the exceptionally well-preserved, thousand-year-old pieces of oak occasionally found in peat bogs. Such oak acquires distinctive characteristics through its contact with the iron salts in the bog – and is quite rare. Employing modern processing and dyeing techniques, Carl Hansen & Son has recreated the characteristic look and qualities of bog oak with the Ancient Oak variant. Wegner first designed the Wishbone Chair, known for its distinctive wishbone-shaped backrest, in 1949, and the chair has been in continuous production since 1950. 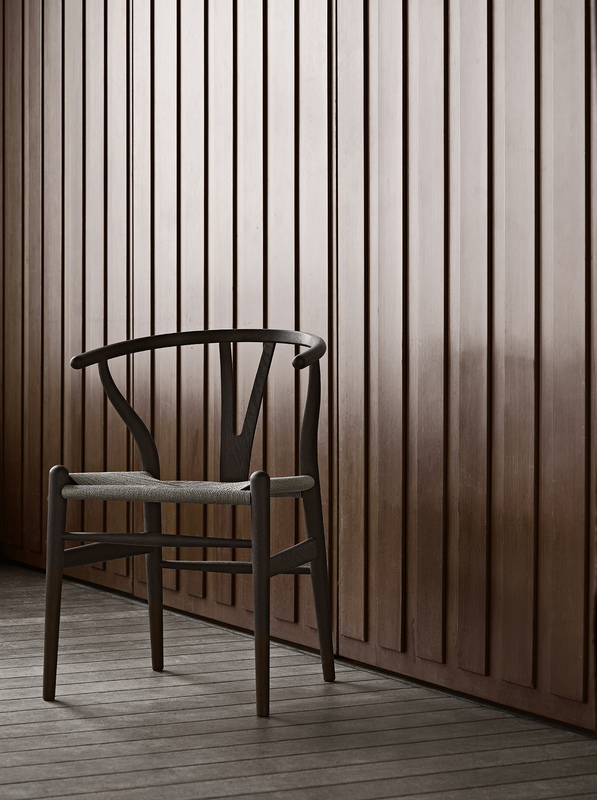 It is the result of an intense and uncompromising partnership between Wegner and the skilled craftsmen who contributed to the design’s demanding development work. Almost 70 years after coming into existence, the Wishbone Chair continues to place great demands on skilled craftsmen, who are tasked with manually assembling the chair’s 14 parts and hand-weave the seat from 120 meters of paper cord before the finished chair can leave it’s temporary home – the furniture factory in Gelsted, on the Danish island of Funen. 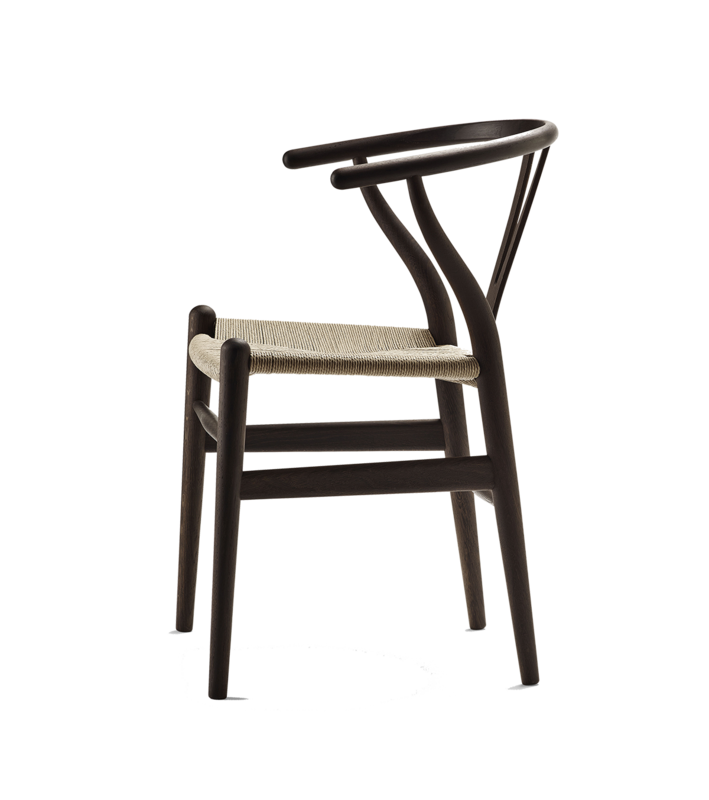 All chairs purchased over the course of these two days will come with a brass plate engraved with Hans J. Wegner’s signature and date of birth, discreetly placed on the inside of the chair’s frame. The engraving reproduces Wegner’s signature with a high degree of detail, paying respect to the master designer’s own high craftsmanship standards. And as for the price? Well, you may want to sit down for that.